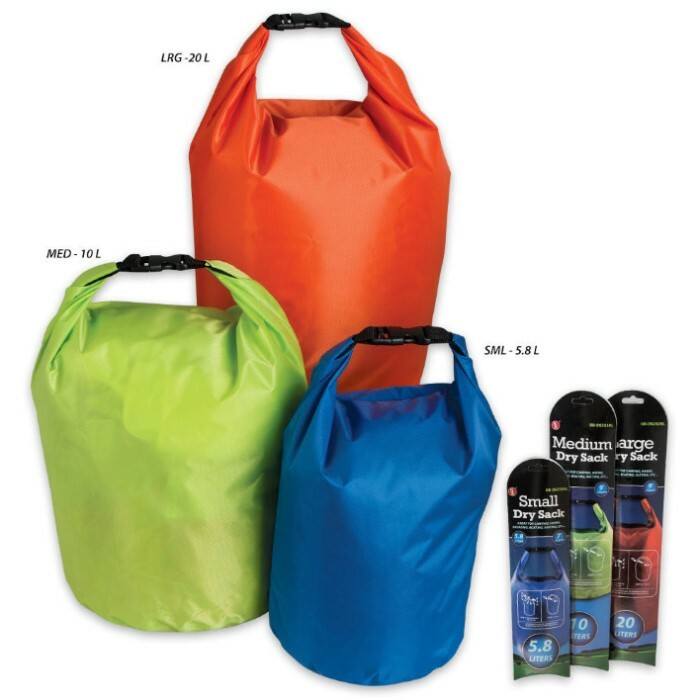 Dry Sack 210T Terylene Material | BUDK.com - Knives & Swords At The Lowest Prices! 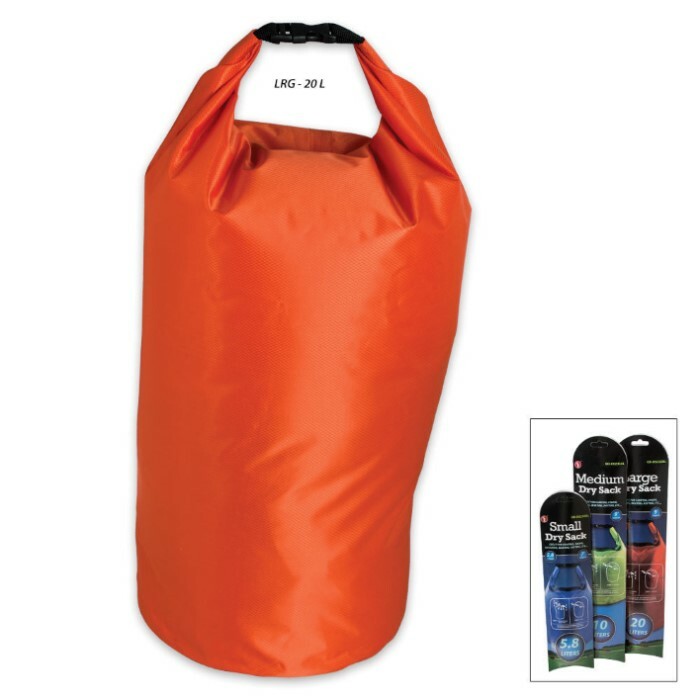 Small 5.8L volume: 7" x 14"
Large 20L volume: 9" x 24"
Keep all your camping and survival gear in this handy dry sack. It's perfect for camping, hiking, kayaking, canoeing, boating, rafting and more! 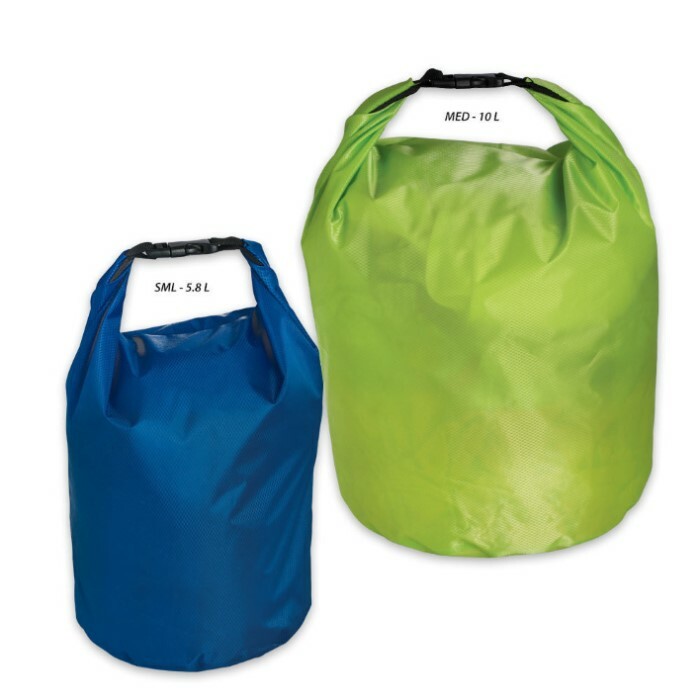 It will hold all of your materials in one dry knapsack-style container made of 210T terylene material.